National Dentex Labs Partners With Carbon to Provide Digital 3D Printed Dental Solutions Across U.S.
National Dentex Labs (NDX), the largest dental lab in U.S. (by revenue), and Silicon Valley-based digital 3D manufacturing company, Carbon announced a multi-year agreement which aims to Provide Digital 3D Printed Dental Solutions Across U.S. NDX labs will use use the cutting-edge Digital Light SynthesisTM (DLS) technology developed by Carbon. By incorporating Carbon’s complete dental solution, NDX will solidify its hold on the existing US market. The agreement commenced this year and will continue to scale through 2019. Carbon M2 printers are now placed in NDX labs across the country. NDX is dependent on 3D printing technology to build models and other varieties of implant guides. But as the demands were increasing, the labs were not able to sustain the increase of load. NDX started seeking a solution which could not only meet its growing demand, but also be efficient, accurate, aesthetically appealing and provide scalability, fleet management across its base in disparate locations, and the ability to report data and analytics that cater to solution-based needs. Carbons revolutionary patented technology, Digital Light SynthesisTM (DLS) is superior to most of the existing dental solutions. Its technology to fuse light and oxygen to rapidly produce high-quality, end-use products is a marvel in itself. It is a proven and a reliable technology with a broad and ever-increasing range of materials for specific applications makes it complete solution even for the future. The technology significantly reduces manufacturing time, improves efficiency and accuracy. Most importantly it provides features such as part traceability and serialization through next-gen software design tools. The technology is designed to trace everything printed on the machine. It can automatically engrave or emboss a unique ID on the parts which can be used to identify the digital historical record of the part, including identifying the specific printer, resin, and even post-processing protocols that were involved in making that part. 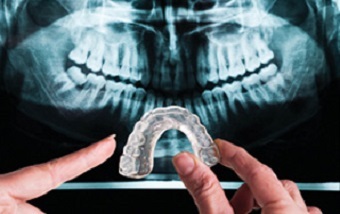 This capability is particularly valuable for highly regulated industries like dental, where the FDA will increasingly require part-specific data to ensure product performance and patient safety. National Dentex Labs (NDX) is the largest network of dental labs by revenue in the United States. Each of NDX’s fully-owned labs offers full dental prosthetic services, including fixed restorations, dentures, sleep dentistry devices, specialty appliances, implants, surgical planning and various chairside services.